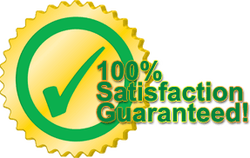 Nathan Altenor's Janitorial Services is committed to ensuring our customers are fully satisfied... every time! We deliver the highest level of quality with reliability second to none. Providing consistent attention to even the smallest detail, you will always have access to our management staff. We are committed to providing dependable, flexible services designed to be responsive to the things that matter to you most. Customizing our services to your needs is a standard at Nathan Altenor's.